Gold, also known as the precious metal or yellow metal is one of the most well known commodities to mankind. Gold finds its uses from industrial and manufacturing to personal jewelry and accessories. In the financial world, investors and speculators often flock to gold in times of crises and market uncertainty, giving it the nickname as a safe haven asset, despite the fact that unlike other investing assets, gold does not yield any returns. Still, it is one of the most preferred assets in portfolio diversification for both investors and speculators and is traded in paper and physical forms. At one point in time, gold was also used as a form of currency, both directly and indirectly before the advent of the paper money or fiat money as we use it today. Investors at all levels are fascinated by gold for many different reasons such as portfolio diversification to investing in gold as a hedge against inflation. Gold is also one of the few commodities that has a “store of value” and therefore has little exposure to central bank monetary policies. 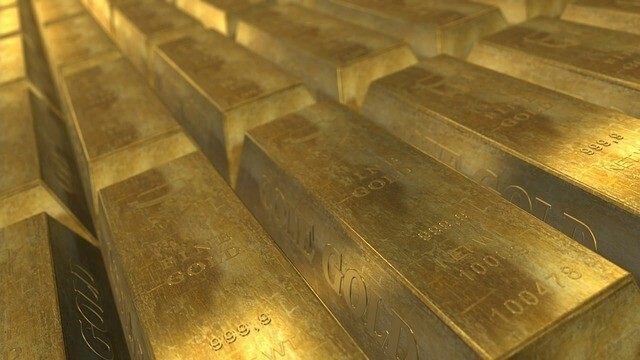 For many, gold is considered to be the purest form of money. Today, the average investor and speculator can invest or trade gold in many different ways; from speculating on the spot prices of gold to purchasing the bullion, to trading gold futures and investing in gold mining or exploration stocks. You can own gold, you can speculate on gold or you can invest in companies that are in the business of having to do something with gold. Whether you trade gold or gold stocks or even futures, it is essential to know the effects gold prices have on gold stocks. To understand this relationship, let’s first take a look at how gold prices are fixed and also the factors that influence the price of gold. How are gold prices determined? Gold prices trading in the spot markets are generally fixed on a daily basis in an agreement between the market participants in the London Bullion Market Association, known as the London gold fix. Since 2015, the London Gold fix has been replaced by LBMA gold price where the auction is done electronically. Gold prices are fixed twice a day on every business day. But this does not mean that gold prices are fixed for the day. Depending on the market factors, gold prices can fluctuate, in some cases deviate widely from the daily gold fixed prices. The gold fix simply gives a benchmark of gold prices for the day. Therefore, when you buy jewelry or buy physical gold, the gold fix price is often used as reference. The source for the London gold price is derived out of the current spot value in the markets and the price at which bullion traders transact the physical metal on a daily basis. Once the market participants agree to a common price, it is balanced out to match both the buyers and sellers. The gold fix is used by refineries and mining companies which is useful in valuing their inventory. 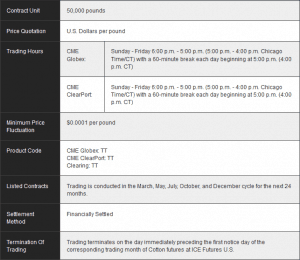 Because gold prices, like other OTC-markets trade round the clock, there is no official price of gold that can be quote, which is why many use the gold futures contract price as reference. Whether you trade spot gold or gold futures prices, the price difference is usually negligible. As with any commodity that is traded, gold price fluctuates on a number of factors, starting with supply and demand and the general investor sentiment. Additionally, macro economic factors also play a role due to the significance of gold as a reserve currency and its store of value. When the investor appetite for taking on risk is strong, gold prices tend to fall, inversely when investors risk appetite wanes, gold prices tend to appreciate among other safe haven assets such as bonds. There are also other factors such as geo-political developments, black swan events, and financial crises which also play a role in shaping gold prices. Because gold is priced in U.S. dollars, the price of gold is influenced by the strength of the USD and therefore the US economy as well. Of course, you can directly trade gold in other currencies such as Japanese yen, British pound, euro, Australian dollar etc, but the basis for all these other currency pricing is derived from the gold-U.S. dollar price. Gold stocks are a popular sector for investment for those who want to have some exposure to gold via equity. However, with gold stocks you do not directly invest in gold but rather buy equity in companies that have something to do with gold. Gold stocks typically cover mining, exploration and production. These stocks are said to have a levered effect when looked at in relation to gold prices. The gold stocks are also more volatile investments as a result when compared to other sectors of the equity markets. In terms of leverage, gold mining stocks are said to have an average leverage of 1:3 to the spot price in gold. However, this is not a fixed variable and can change under different circumstances. The volatility also changes depending on the type of gold stock that you invest in, the market expectations for the gold stock as well as investor valuations for the company in question. Because gold as a commodity forms the basis for the gold stocks, it is not hard to understand the influence gold prices can have on gold stocks. This relationship could probably be well explained by oil, where higher oil prices tend to see Oil companies increase their revenues, while falling oil prices can result in weaker profit margins or even slow the pace of investments and capital expenditure. Large cap gold stocks obviously have large capitalization. These companies are more stable, but at the same time they are slow but long lasting. The large cap gold stocks bring a slow and steady stream of profits for their shareholders. Some of the well known large cap gold stocks include Barrick Gold (NYSE: ABX), which has a market cap of over $17.53 billion. On the other end of the scale you will find the junior gold stocks. These are mid-cap stocks and therefore tend to be more volatile. A junior gold mining company is basically an exploration or a mining company that is in the business of exploring and mining for new gold deposits. The junior gold mining stocks or gold exploration companies are primarily the major sources for new gold supply. The junior gold mining stocks are volatile and the industry is often prone to bankruptcy as the companies rely heavily on rising gold prices in order to make a profit. Gold mining stocks are usually diversified, meaning that mining for gold is not the only source of income for most of these companies. Such companies tend to mine other metals as well such as copper, zinc and so on which offers a wider protection than the company being exposed solely to the price of gold. The basic premise behind trading gold stocks is that when gold prices rally, the mining companies also tend to appreciate, perhaps more than gold and they also tend to fall when gold prices depreciate in value, although not exactly at the same pace of increase. The price of gold remains the primary factor when trying to predict or understand the price of gold stocks. The broad logic here, being that when the price of gold goes up, gold stocks tend to rise as well. Likewise, when gold prices fall the price of gold stocks also exhibits the same characteristics. This is because assuming that the cost of mining remains the same, higher gold prices will increase the profit margin for the gold mining and exploration companies and when gold prices fall, the profit margins reduce. The chart below shows the prices of spot gold (XAUUSD) plotted on the right and the shares of Barrick Gold (NYSE: ABX) on the left. Although there isn’t a perfect correlation between the two, it is clear that both ABX and gold prices move in the same direction. To better understand the “leverage” factor in gold stocks, the next chart shows some interesting results when you compare the price of ABX and spot gold. 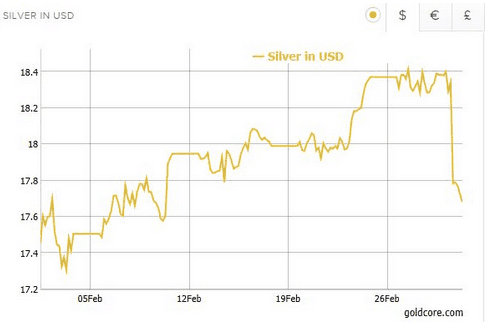 In the above chart, we have a price comparison for gold and Barrack Gold prices. While gold prices gained over 23%, you can see that price of Barrick gold jumped over 165% for the same period. The above correlation shows that the price of gold clearly affects a gold company's profitability as it influences factors such as revenues and the company's balance sheet or book value. However an important distinction to make here is that the price of gold stocks does not move in lockstep with gold prices. The next chart below shows a period where gold prices fell by 10%, but at the same time, the shares of Barrick Gold fell by 45%. The pace of declines in Barrick gold is completely different to the previous example where a 23% appreciation in gold prices sent the shares of Barrick gold rising by over 165%. There are also times when a strong move in gold prices will often see a muted reaction in the price of gold stocks. What we can conclude from the above is that while gold prices tend to have an influence on gold stocks, the correlation is not always at the same pace. Many experts believe that gold stocks tend to move ahead of gold in anticipating changes to the gold price. In such a case, as gold stocks tend to lead the rally, it often results in varying degrees of price changes between gold and gold stocks. Based on the above, an investor should expect to see some inconsistent movements between gold stocks and gold prices. Remember that there are other factors that influence gold stocks which add up to the inconsistencies such as the broader strength of the equity markets as well as looking at the macro economic factors that influence the price of gold and of course the company valuations itself.